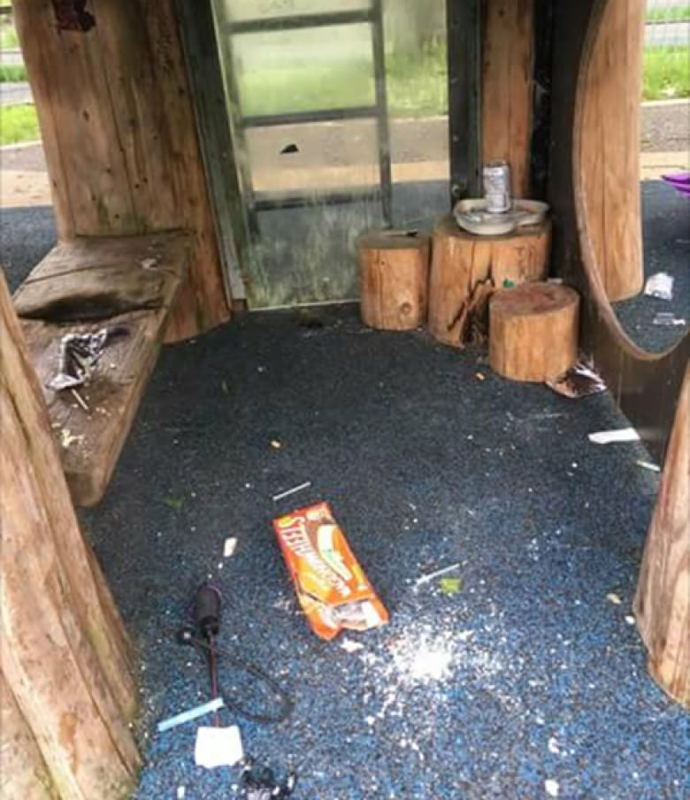 Local residents want the Downtown Vancouver park, used by an elementary school as a play area, to be kept clear of needles, drug paraphernalia and other trash. As Tricia Dong walks through Andy Livingstone Park in Downtown Vancouver, she points out the places where discarded needles and drug paraphernalia make her feel unsafe. 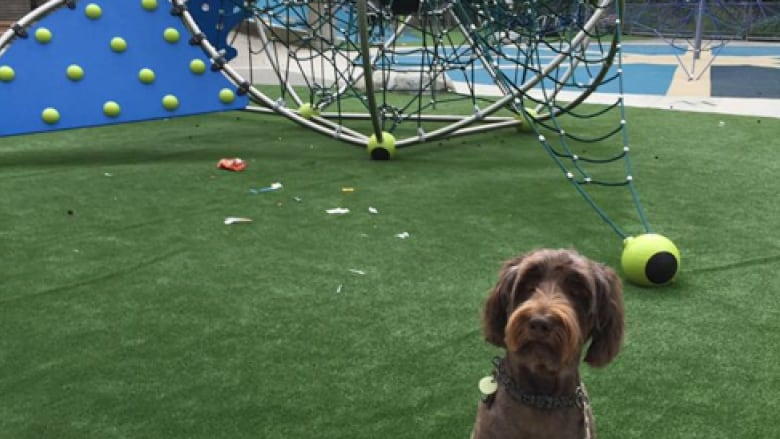 "The [park] design is beautiful, but I don't want to take my friends or dog here because I don't know what's going to on the ground," she said. "You always have to do a sweep. I don't want my dog stepping on needles, I don't want him eating anything." Dong and other neighbours say Andy Livingstone Park, which is next door to the new Crosstown Elementary, is frequently strewn with needles and other trash. They're asking the Parks Board to do a better job of keeping it clean and safe. "It's affecting everybody," Dong said. "We have daycares, and we have residents, sports teams; we all have to share this park. "This is a zit. I'm so sick of no action being taken … To be stepping over needles and doing a sweep so your children can play is unacceptable." Audrey Howatsen's five-year-old daughter attends Crosstown Elementary. While the playground is kept free of needles, the rest of the park is a different story. She says raising her daughter in that part of Vancouver, blocks away from the Downtown Eastside, means needle safety is an essential lesson. "She knows everything about needles. She kind of stares at them and she knows not to touch them," she said. "We're right near the epicentre of heroin. It goes with the territory. … It's definitely something you gotta watch." In an emailed statement, a Vancouver School Board spokesperson said safety at the park — which Crosstown uses as its play area — is a top priority. "In addition to work carried out by Vancouver Park Board to clean the park, staff at Crosstown Elementary conduct four safety sweeps each day in areas where students play at recess and lunch to remove hazards like needles," the statement read. The VSB says in addition to this work, students at the school are taught how to identify safety hazards in the park and play safely.